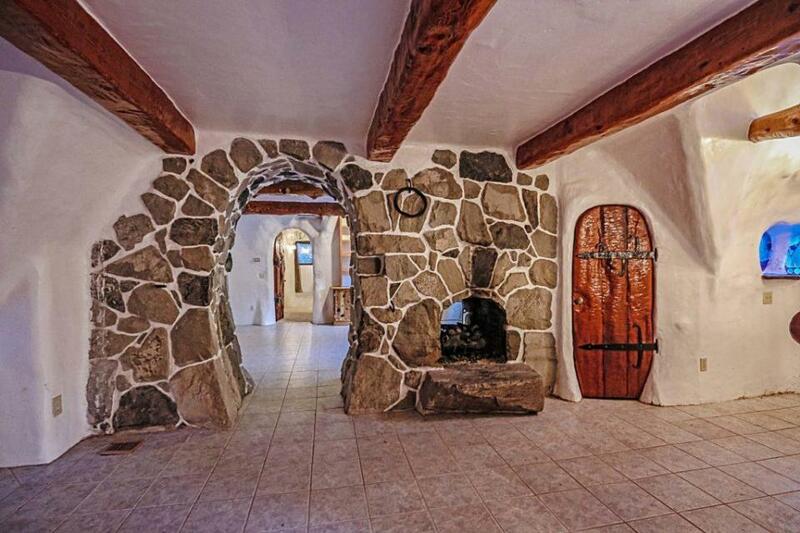 Once upon a time, in a land far, far away there was a charming fairytale cottage on the market for £750,000. 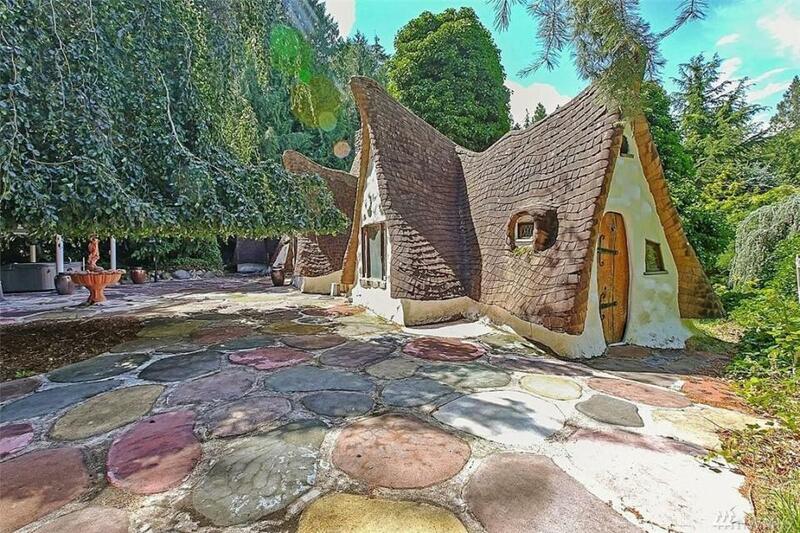 The beautiful property, which looks like something straight out of a children’s storybook, was built in the 1970s on 7.5 acres of forest in Hidden Valley, Olalla, Washington. 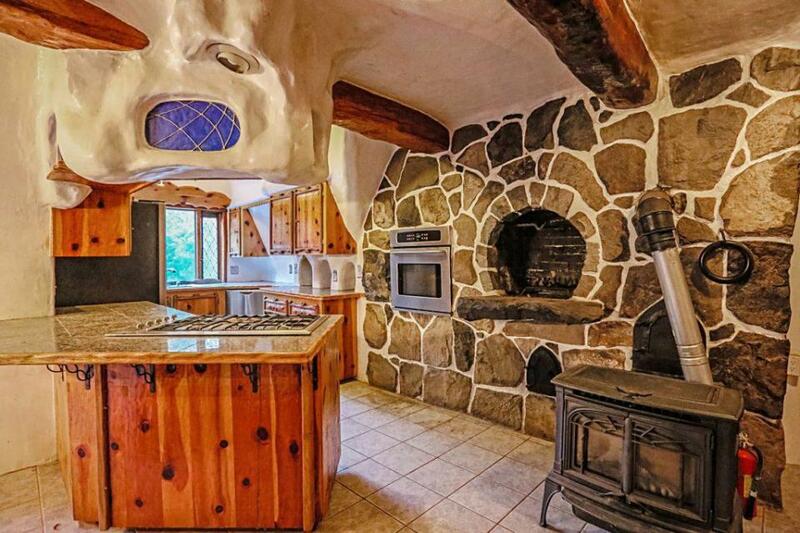 Dubbed the “Snow White house” by locals, the unique home boasts four bedrooms, four bathrooms, modern appliances and wifi – but strangely not a single square corner exists thanks to its quirky design. Each door was hand built with extensive iron work; the wooden beams were hand carved and the many of the windows feature stained glass. 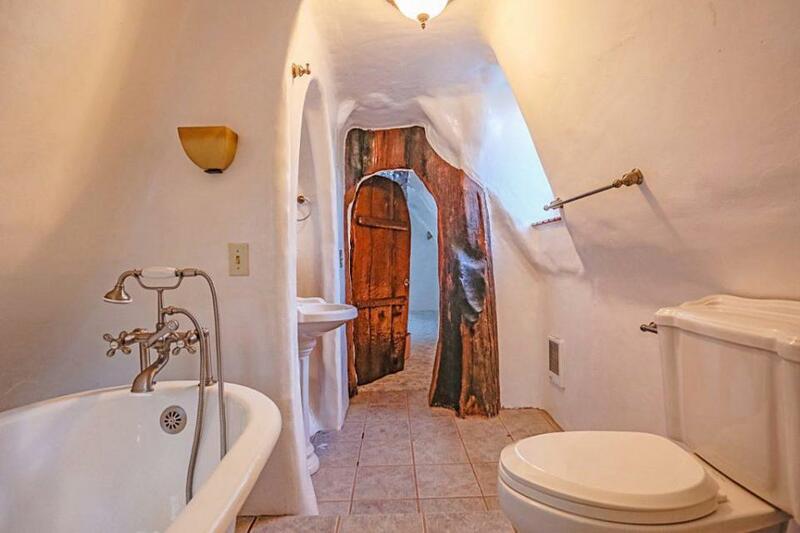 The quaint look continues inside with stone fireplaces, walls that resemble caves and a kitchen which is accessed through a huge tree trunk. 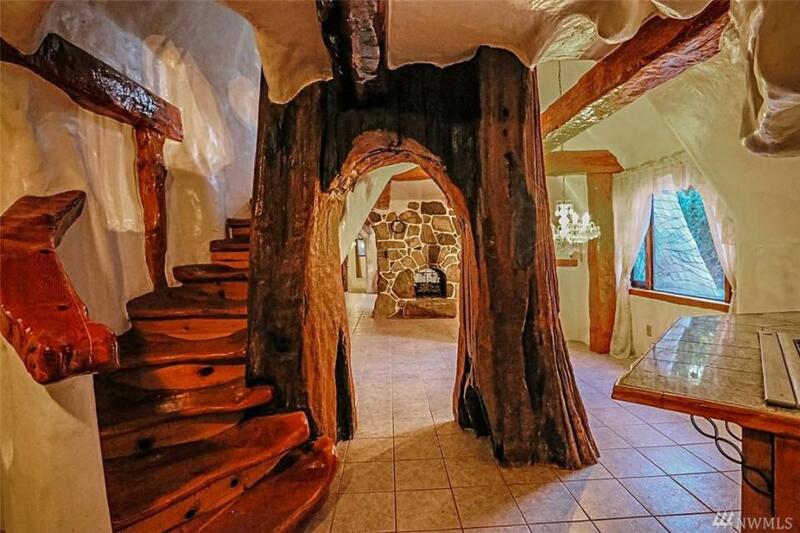 To get upstairs, there’s a cute wooden spiral staircase wrapped around the tree trunk archway. Unfortunately the enchanting hideaway doesn’t include seven dwarfs but there is a magnificent little treehouse in the nearby woods. 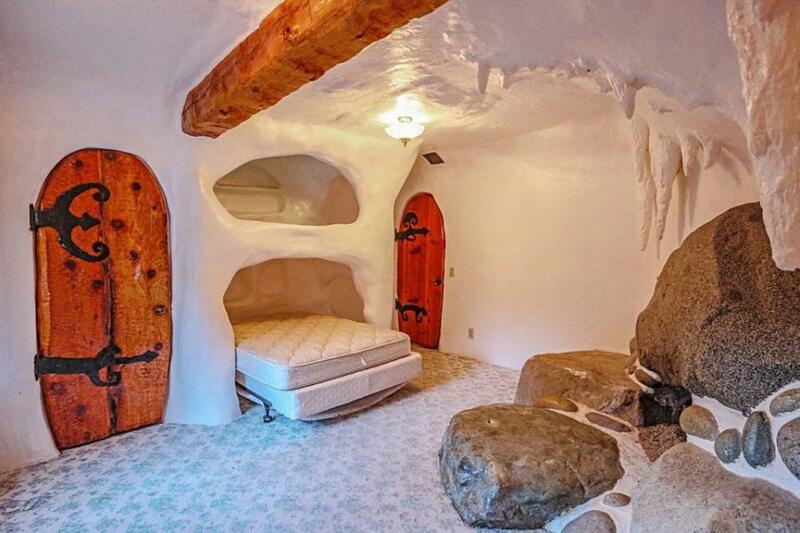 John L. Scott Real Estate, who are handling the sale, commented: “Snow White and the seven dwarfs retired in Olalla and are now putting their home up for sale. 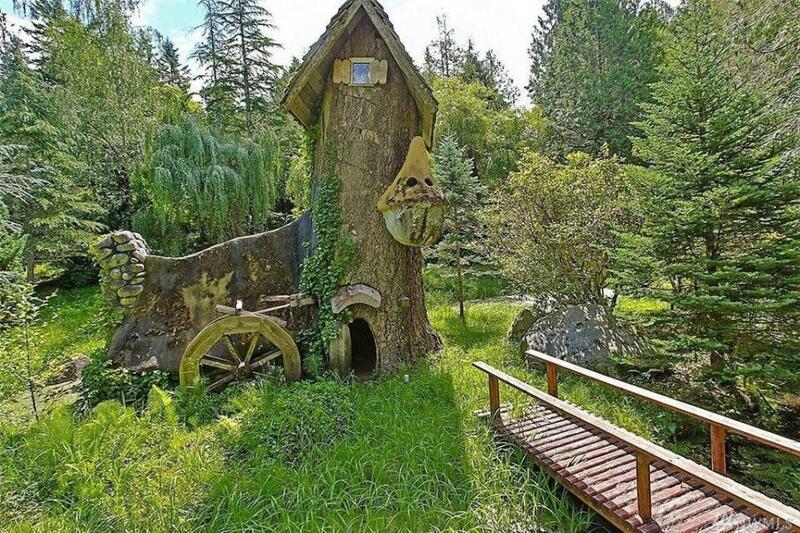 “This is the most amazing storybook home you’ll ever find. 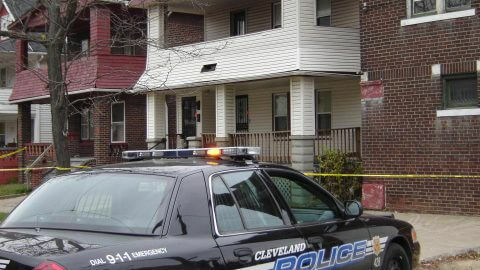 They added it is perfect for a “bed and breakfast or as a wedding venue”.